I haven’t posted a no-bake cereal bar recipe in ages. From 2009 to 2011 that was my blog’s apparent specialty. Just scroll through some of the vintage recipes under the Related Recipes section for a reminder. 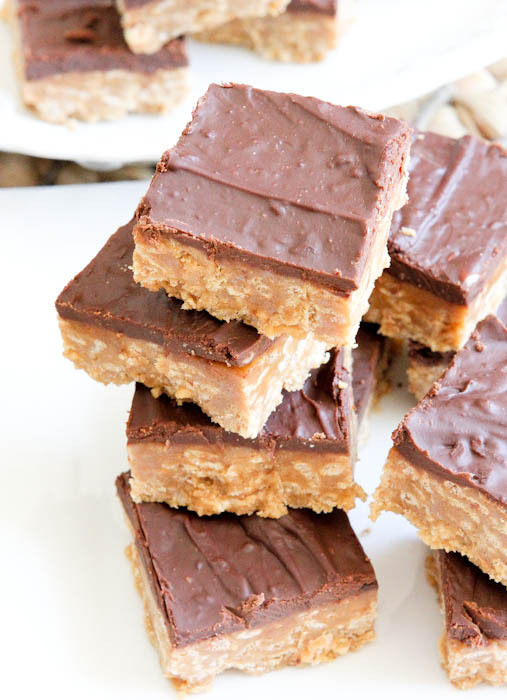 The bars are no-bake, easy, loaded with bold peanut butter flavor, and plenty of chocolate. 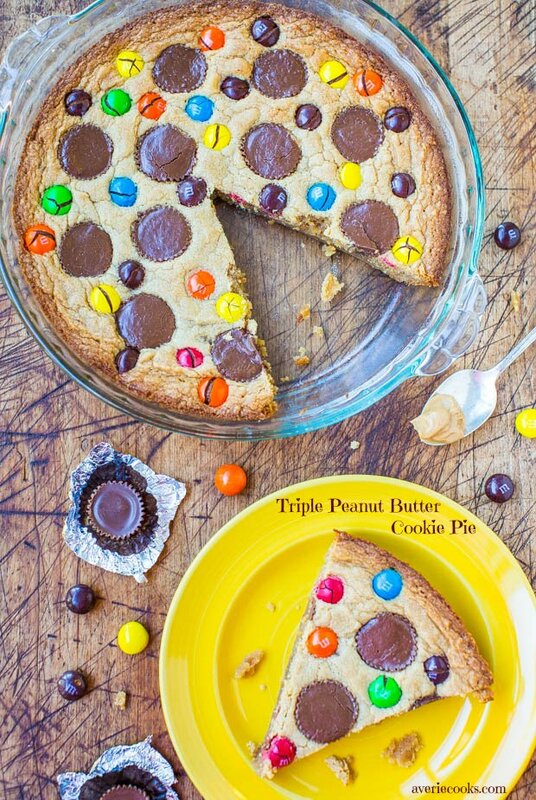 There’s both a layer of melted chocolate and assorted candy bar pieces adorn the top. If you need a way to use up that random assortment of Halloween (or Christmas, Valentine’s, Easter, etc.) candy that you have on hand, the bars are perfect. Snickers, Milky Way, Payday, you name it, use it up. The bars are super soft, very dense and chewy, and they’re total comfort food for me. Caramely, peanut buttery, brown sugary goodness. Trust me when I say I prefer a cereal bar like a Rice Krispies Treat or a Special K Bar over a fancy cupcake and I couldn’t stop eating these. 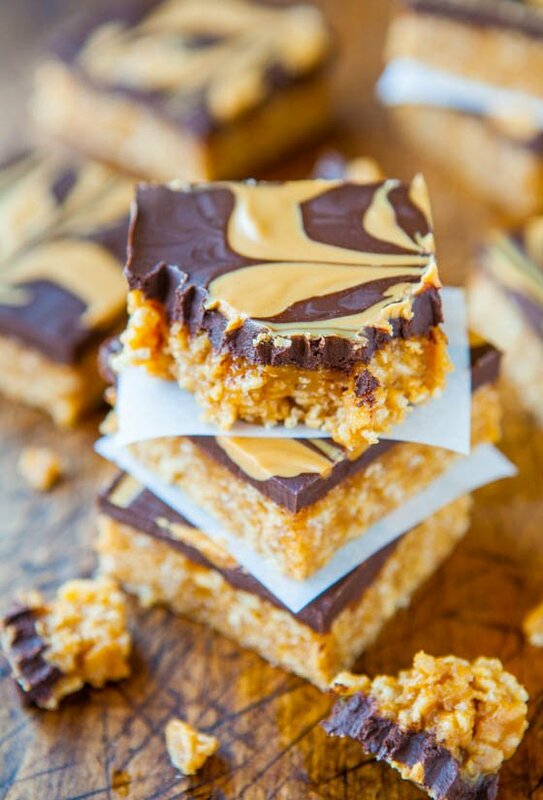 The bars are no-bake, easy, loaded with bold peanut butter flavor, and plenty of chocolate. There’s both a layer of melted chocolate and assorted candy bar pieces adorn the top. If you need a way to use up that random assortment of Halloween (or Christmas, Easter, etc.) candy that you have on hand, the bars are perfect. They’re super soft, very dense and chewy, and total comfort food. Caramely, peanut buttery, brown sugary goodness. Bars – Line an 8×8-inch square pan with aluminum foil, spray with cooking spray; set aside. To a large microwave-safe bowl, add 1 heaping cup peanut butter, corn syrup, sugars, and heat on high power for 1 minute to melt. Return bowl to microwave and heat for 1 more minute on high power. Stop to stir. Topping – To a medium microwave-safe bowl, add the chocolate chips, peanut butter, and heat on high power for 30 seconds. Stop to stir. Heat in increments of 20 to 30 seconds, stopping to stir after each 20 to 30 second increment until chocolate has melted and can be stirred smooth. It will probably take 1 1/2 to 2 minutes total. Evenly pour chocolate mixture over Special K layer, smoothing the top lightly with a spatula. Evenly place the candy pieces over the top. Add as many as you like (I’m generous) and use your favorite candy including Snickers, Turtles, Milky Way, 3 Muskateers, Payday, etc. Cover pan with foil and allow bars to cool at room temp until chocolate has set, likely 4+ hours. I don’t like to refrigerate them because the chocolate topping and the candy bars can sometimes turn color (bloom) or experience condensation droplets when brought back to room temp however these are purely cosmetic issues, won’t effect taste, and will speed up the cooling process if you’re in a hurry. Bars will keep airtight at room temperature for up to 1 week, in the refrigerator for up 1 month, or in the freezer for up to 6 months. 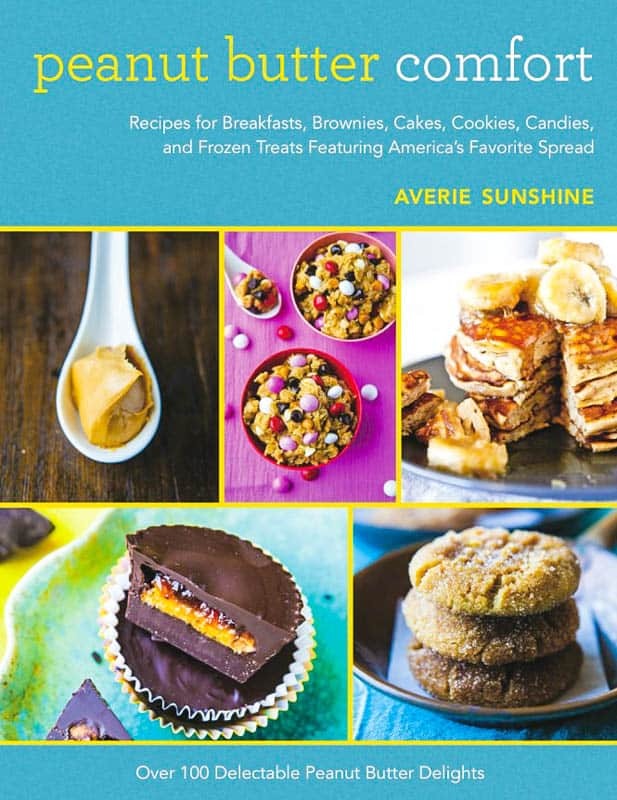 I wrote a Peanut Butter Cookbook with 100+ recipes using Peanut Butter! Pretty please head over to Amazon to check it out! 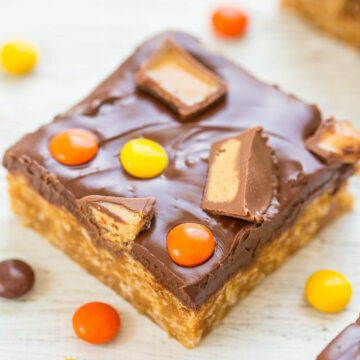 Chewy Peanut Butter and Chocolate Cereal Bars – Like Rice Krispies Treats but better because there’s peanut butter and chocolate! No-bake, soft, chewy, and wonderful! 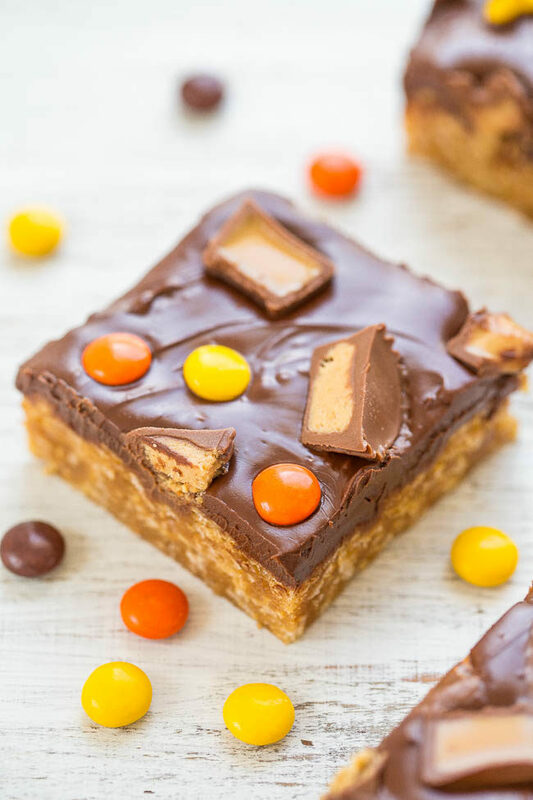 Chocolate Peanut Butter Kit Kat Crunch Bars – If you like KitKats you’ll love these easy, no-bake bars that are topped with a thick layer of them! Along with more chocolate and peanut butter! 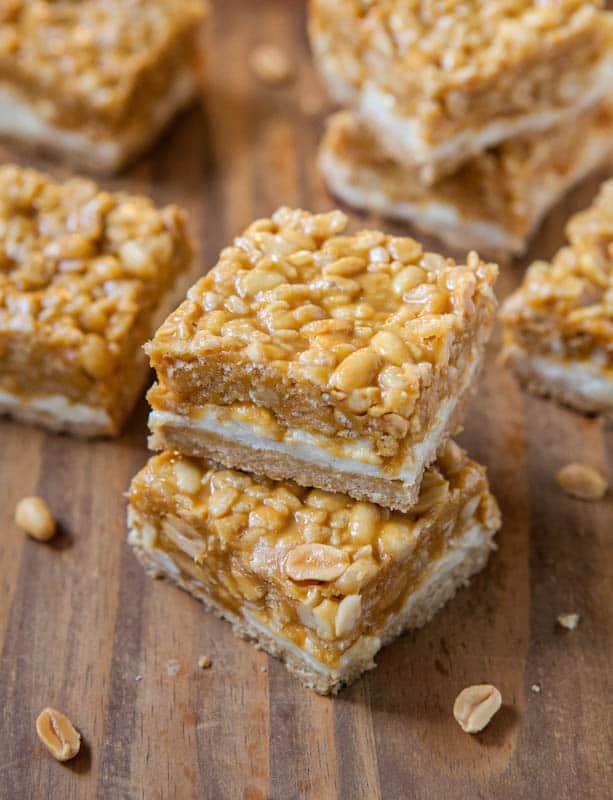 No-Bake Peanut Butter Marshmallow Cereal Bars – Peanut butter with marshmallows and cereal is a gooey, chewy, wonderful combination! 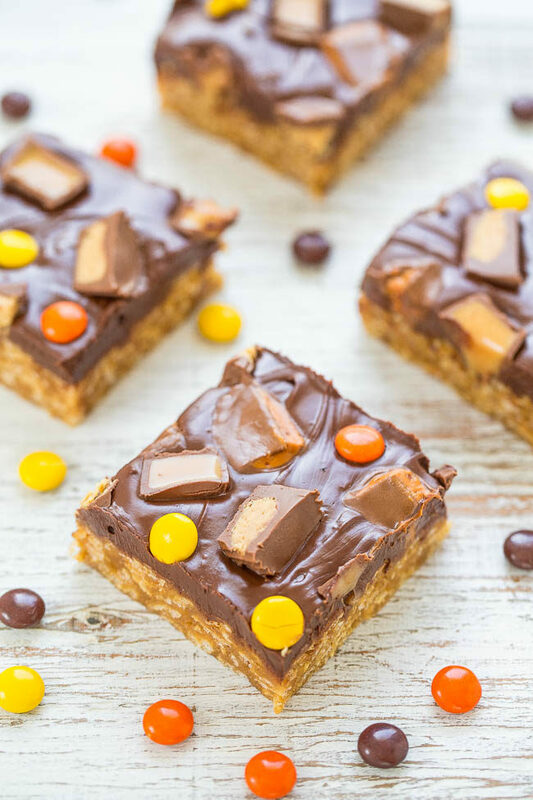 Peanut Chewy Payday Bars – Like the famous Payday candy bars but homemade always tastes better! Easy and almost no-bake! No-Bake Nutter Butter Special K Bars – Nutter Butter cookies along with peanut butter and chocolate in easy, no-bake bars! Special K Bars – My grandma’s recipe that’s very near and dear to my heart and one of my early blogging days recipes! PB in the bars and topping–yum! You do have a great collection of cereal bar recipes. 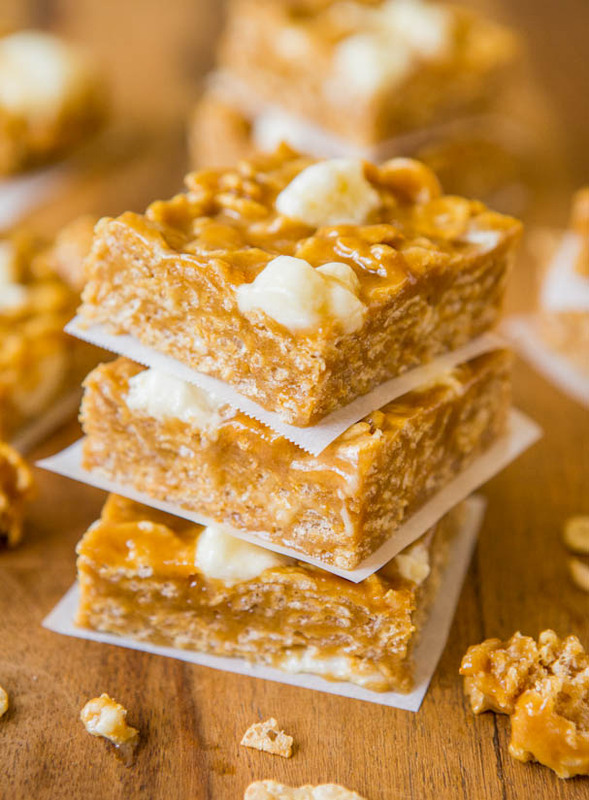 I like a good rice krispie treat but love the flavor and texture of cereal bars with brown sugar and corn syrup–they are a little more dense and chewy. Yes to the dense and chewy part! I loved that about these! 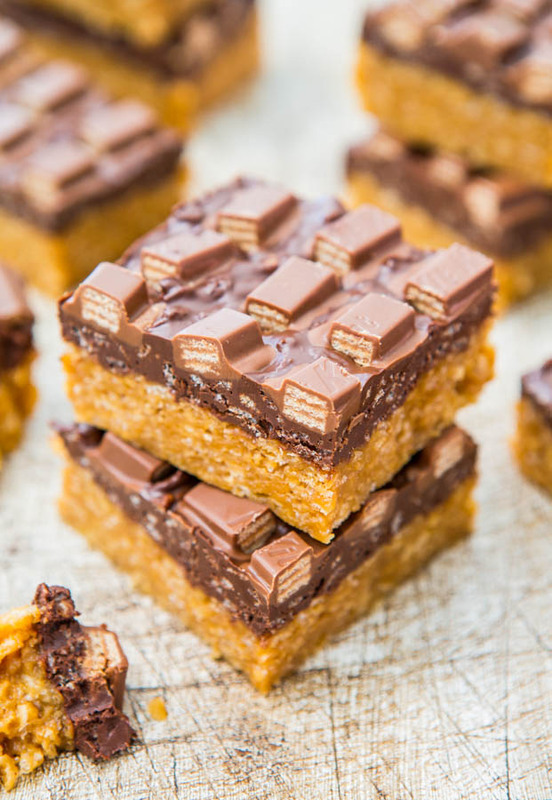 I frequently get requests to make your PB bars with the cornflakes in them. :) You already said it … but what a great way to use up extra Halloween candy! Isn’t it funny how that works? You do a ton then you stop? I have lots of those kinds of things too. These look so good! I’m glad you got back to your roots ;) These bars look fantastic! I loved your dessert today…WANT! I know you aren’t into it, but there’s this new truvia syrup that is the consistency of corn syrup. With the holiday baking coming up, I’m really tempted to try it! These bars would be PERFECT for a test run! I worry that even though it has the consistency of corn syrup that it may not have the same binding properties like C.S. has. For example, honey and C.S. aren’t interchangeable in this recipe which is why I wouldn’t take the chance (just putting that out here for other readers!) but LMK if you try it! Here in Holland I can’t find corn syrup, so I used plain golden syrup (stroop as we call it). It worked out just great. It gives the cereal al nice caramell structure. I love these bars, thanks! I am familiar with golden syrup and I am glad it worked out well in these bars! Oh these sound dangerous!!! What’s not to love about everything that goes into these bars?! Definitely need to make these ASAP!